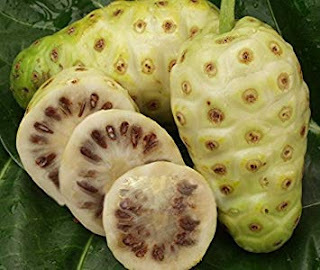 Noni fruit has a less attractive form, unpleasant taste and unpleasant odor. Nevertheless, the fruit which is also known by the pace name is believed to cure various diseases. The fruit which is part of the coffee family species is believed to have many benefits, including reducing hypertension and cholesterol, treating gout, diabetes, anticancer. However, this fruit is usually consumed in the form of juice or food supplements rather than consumed directly. Clinical nutritionist, Dr. Marya Warascesaria Haryono, SpGK said, noni contains compounds that are anti-inflammatory and antioxidant. The compound is very good for health. While antioxidant compounds in noni can inhibit cancer risk. Although the leaves and fruit contain anti-inflammatory and anticancer substances, but according to him, the maximum benefit is the very ripe fruit that has been soft and runny because the active ingredients are more abundant than the non-ripened noni fruit. And that is best consumed directly compared to consuming processed noni. Because the benefits of noni will be reduced if it has been processed because the active substances it contains have decreased function compared to consumed directly. And even though it's rich in benefits, things that need to be considered when consuming this fruit are not every day, especially for people with kidney problems. "It is better not to be consumed regularly but varied with make or other vegetables and the high potassium content in noni is not good for people who have kidney problems," he said. Meanwhile, although it has not been proven that noni is harmful for pregnant women, he suggests avoiding it. Likewise for mothers who are breastfeeding, temporarily not consuming noni. "There has been no research that proves (noni) is safe for pregnant or lactating women. If the community (mostly) is not allowed (noni consumption) but scientifically not proven. Everything that has not been proven, should be avoided because we do not know the safety limit," said Dr. Marya.